Compost Mixes Milton | About Petrie’s | Petrie’s Quality Topsoil Ltd.
Petrie’s Quality Topsoil Ltd. has been in business since 1991. We sell and manufacture wholesale and retail topsoil, as well as garden and landscaping supplies and materials. We offer custom-blend compost mixes, decorative stones, aggregates and more to provide you with the tools you need to create the garden or landscape of your dreams. We specialize in organic compost mixes for healthier lawns and gardens. We produce custom blends for our customers, which are specifically designed for their needs. We send all of our products to an agronomist before they’re available for purchase. What do agronomists do? Agronomists test soil and report about soil’s composition pH ratings. This lets us know whether or not it’s been contaminated in any way. Agronomists also study sustainable ways to make soils more productive, classifying soils and reproducing them to determine whether they contain substances vital to plant growth, including compounds of nitrogen, phosphorus and potassium. 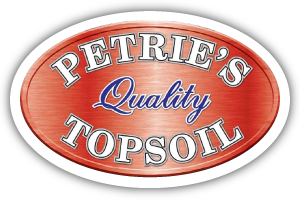 We send our materials to agronomists, because at Petrie’s Quality Topsoil Ltd., we insure the highest quality in all of our products. Please contact us to learn more about what we do or to request an estimate.